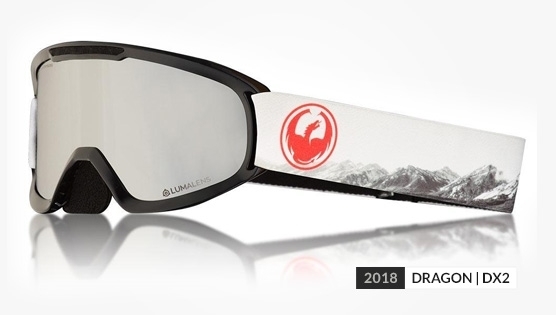 The evolution of a true Dragon original, the medium fit DX2 is an updated and upgraded variant of their legendary DX frame and is able to offer increased peripheral vision. Featuring clean, classic styling in a more compact silhouette, the DX2 offers seamless helmet interface and premium features like triple-layer face foam and the unquestionable clarity of our polycarbonate precision lens. Ideal for a medium sized head, the Dragon DX2 hosts a classically styled goggle lens that provides you with 100% protection against the diabolical effects of UV light and offers great value without losing integrity. It's a helmet compatible model with a replaceable strap and the super comfortable thanks to the dual face foam layers and soft fleece lining.